The newest installment of the Tech N9ne Collabos: Strangeulation series may have just been finished, but as always, Tech is already looking forward. 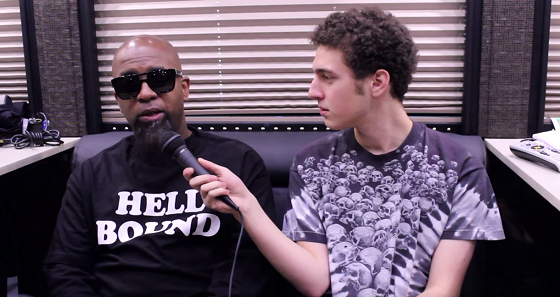 In a recent interview with Mr. Wavvy, Tech reveals that he has put the finishing touches on Tech N9ne Collabos: Strangeulation Vol. II and is now focusing on his next solo album titled The Storm. When asked to describe the upcoming collaborative album in one word, Tech answers with “elite”, and then goes on to reveal his thought process for considering collaborations on his next solo album. Who else would you like to see Tech collaborate with on The Storm? What slow rappers should Tech put on a “Chopper” song? Get at us in the comments!